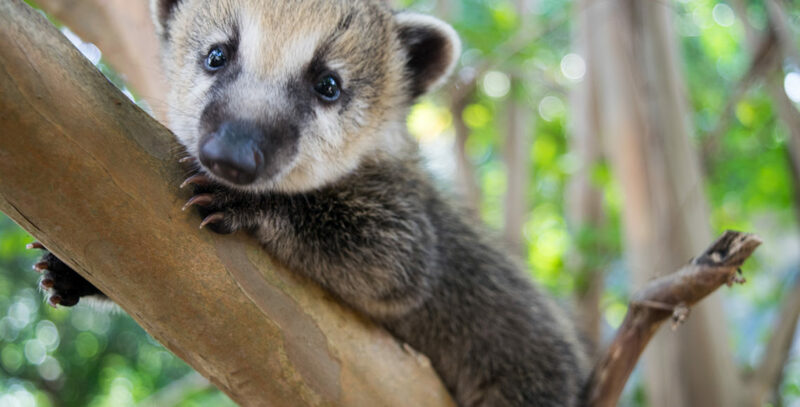 The coati is commonly mistaken as a raccoon— and for good reason! 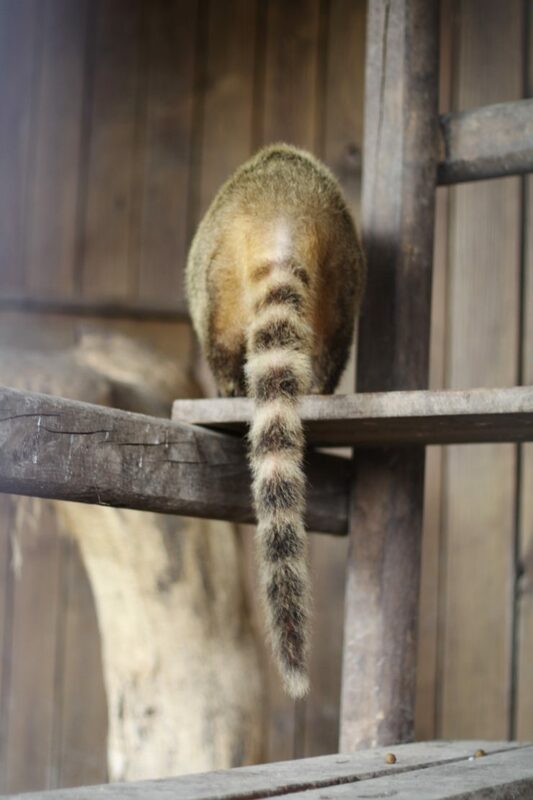 This animal is a close relative of the raccoon, as well as the ringtail cat and kinkajou. Unlike their raccoon relatives, the coati is a diurnal animal, meaning they are awake and active during the day. 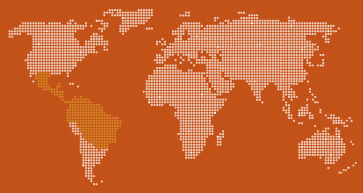 Coatis are native to both tropical and subtropical areas of South America. These forest dwellers are omnivores and eat a variety of foods, such as fruit, beetles, centipedes, fish, scorpions and snails. 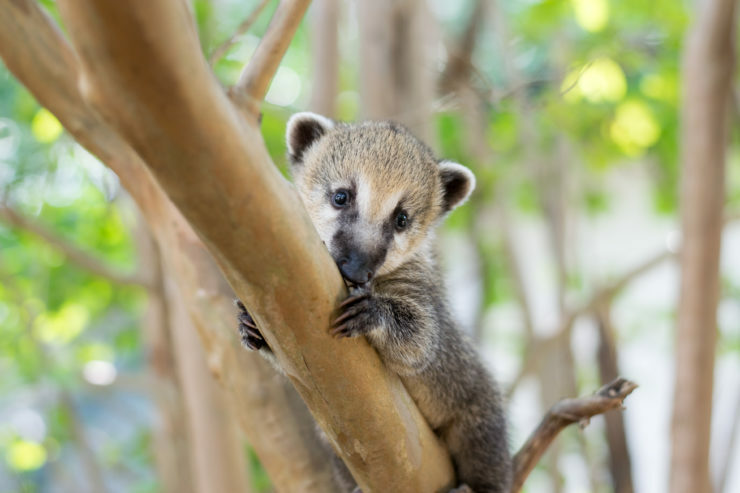 With the help of their long, flexible snout and strong paws, the coati is able to lift up leaves, dirt and rocks to access the insects, rodents and lizards hiding underneath. 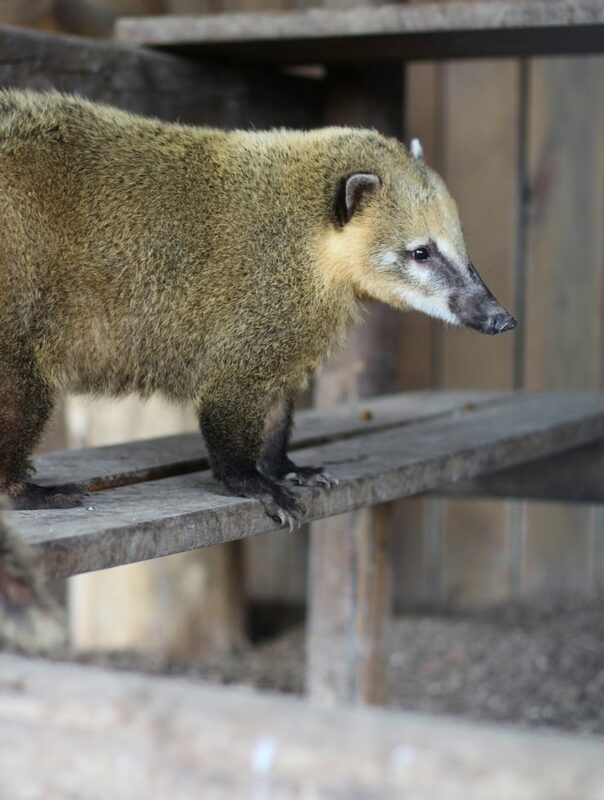 Known for their agility, coatis can also climb among tree branches in search of food. 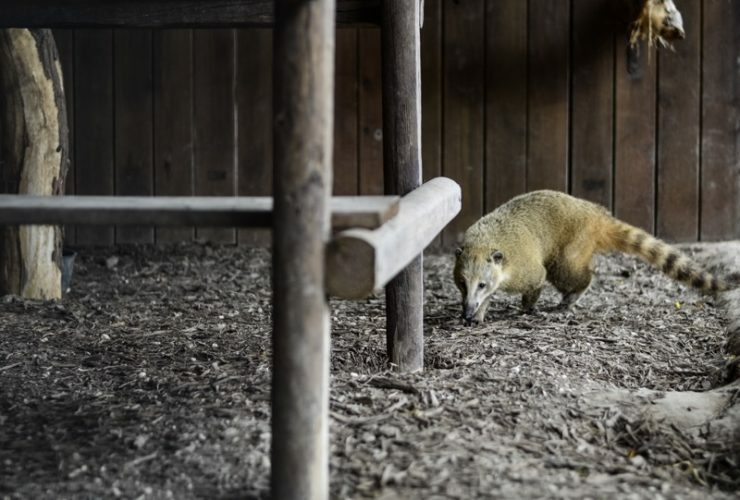 Though these animals may look cute and fluffy, they are fierce fighters when threatened. 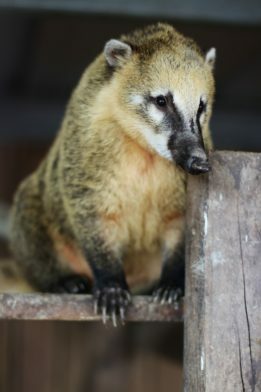 They use their sharp canine teeth, strong jaws, and fast scratching paws to fend off predators.